It's been months since I last did a Konadicure but in my defense, I've had some trouble growing my nails back. I think I've finally found something that is much better at strengthening them then what I was using before. So, this morning I woke up to a complete surprise package from Eyeko which contained their new polish and Graffiti Eyeliner Pen colours. I noticed there was one in there that said 'for French nails'. I have been meaning to get a pale pink that's suitable for French manicures for ages so I was glad to get this. I really dislike having bare nails. I'm not sure why I just really don't like my natural nails. Especially since I got that peel on my ring finger which I refuse to file down, but it's still going strong! 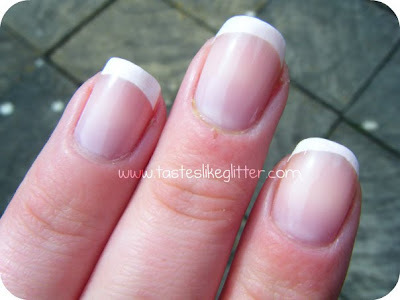 As I'm back to work tomorrow I decided I'd try and do a French manicure using my Konad. I've only tried the M19 tips a few times and each time, it's been a total disaster so I really wasn't expecting this to come out. The index finger tip is a bit off but it really isn't that noticeable in person. 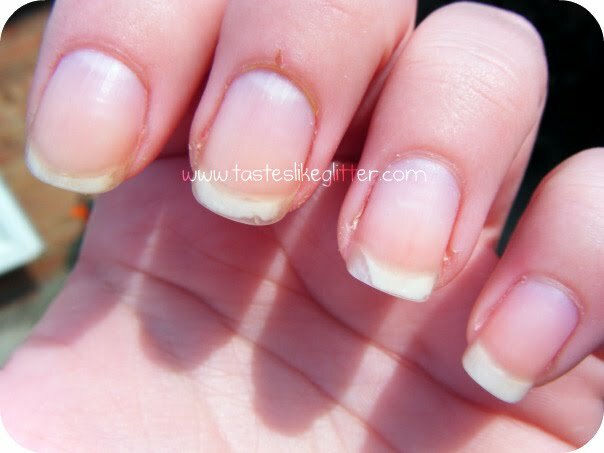 I just find it harder to do tips on shorter nails. Hurry up and grow! Not the most thrilling Konad in the world, I know. But it's simple and I really like it. Now I've got the hang of these I wouldn't dream of going to a salon and paying £20 and upwards for a French when I can quite easily do it myself. Granted, it's not completely perfect but all in good time, right?